The feature-length animated film by American Wes Anderson Isle of Dogs shows Japan of the near future. Mayor of the fictitious city of Megasaki is obsessed with hatred of dogs, whom he, on the pretext of an epidemic of dog-flu (also provoked by himself), banishes to an island that has become a huge trash dump. The 12-year-old nephew of the mayor lands in this sad reservation having hijacked a plane, he is looking for his dog and brings about a revolution. The film’s good characters are teens, scientists, and dogs, while its bad characters are government officials and mafiosis, who advocate the interests of cats in such a murderous way. Of course, the forces of good ultimately prevail. Humans speak Japanese (sometimes without translation, but very clearly) and English, dogs speak English alone, and of a quite refined variety. It touches on the topics of ecology and corruption, as well as government conspiracy, there are other adult-targeted moments as well, but in content, it is a simple fairy tale for middle-schoolers. One feels true respect when thinking about the tremendous work embedded in puppets and in scenery, and is delighted by diligently executed details – up to fleas that move in dogs’ fur. In many ways, the film’s success with the audience was created by puppet-makers and scenery designers (one of them being our compatriot, Ilona Vovchyk from Dnipro, see an interview with her in Den of June 26, 2016), as well as a star voice actor team, including, in particular, Bill Murray, Tilda Swinton, Edward Norton, Scarlett Johansson, and Bryan Cranston. Whether Isle of Dogs is a good model of art house cinema, worthy of the awards of such a major festival, is debatable. But, of course, it will enter the history of puppet animation. Immediately after the world premiere in Berlin, Anderson met with the press. How did you assemble such a great group for the voices? What problems did you encounter in this work? All of your films have been about finding new family, sometimes even beyond one’s own species, as in the case of Isle of Dogs. This is your most overtly political film, there is this undertone of Europe of the 1930s. In this film I feel like you are going about family, community, and communicate a very strong political aspect to this one. Could you please tell a few words about your connection with Japanese animation, especially Hayao Miyazaki [a living classic of Japanese and world animation. – Author]? Assuming that the film has always been a mirror to its time, why did you choose dogs to build that mirror? You use models in your films, and all the other directors use special effects. Why do you still use these all handicraft skills? When you were making Isle of Dogs, did you also have the Japanese audience on your mind? And will the film still work in a Japanese theatrical version, when humans and dogs suddenly speak the same language? Do you have any favorite dog movies? Do you have a dog yourself, or did you ever have one? 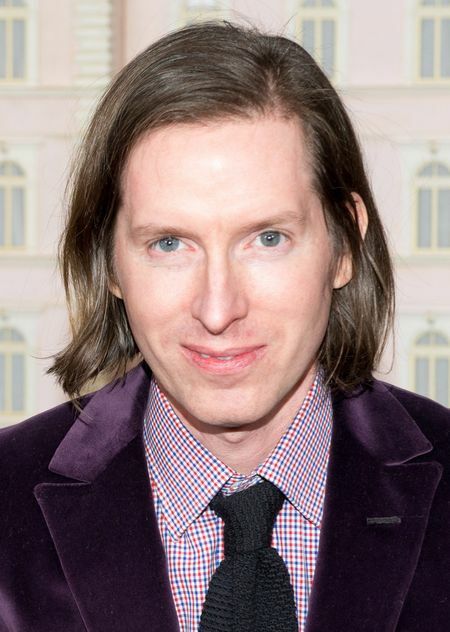 Wesley Mortimer Wales “Wes” Anderson is an American film director, screenwriter, actor, and producer. He was born in Houston, Texas on May 1, 1969. His father, Melver Anderson, was the owner of an advertising company, while mother, Texas Anderson, worked as an archaeologist, and subsequently became a realtor. Wes’s debut film Bottle Rocket (1996) was well reviewed but performed poorly at the box office. Anderson was twice nominated for an Oscar in the Best Original Screenplay category: in 2001 for The Royal Tenenbaums and in 2012 for Moonrise Kingdom. His animated film Fantastic Mr. Fox (2009) was nominated for an Oscar in the Best Animated Feature category. The Grand Budapest Hotel (2014) won the jury’s Grand Prix, and Isle of Dogs won the Silver Bear for directing at the Berlin Festival.